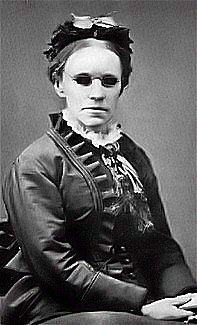 Fanny Crosby, 1906 (🔊 pdf nwc). We normally think of Fanny Crosby as a lyricist, but for this hymn she is credited with writing the music, as well. It is all the more remarkable because she was 86 years old at the time. The Lord of hosts their righteousness, redeeming love their song. Where He has said His faithful ones shall walk with Him in white. And through its power their trusting souls shall overcome at last. Where they shall see Him eye to eye and walk with Him in white. When we shall hail the King of kings triumphant in the sky. And they that overcome the world, shall walk with Him in white.